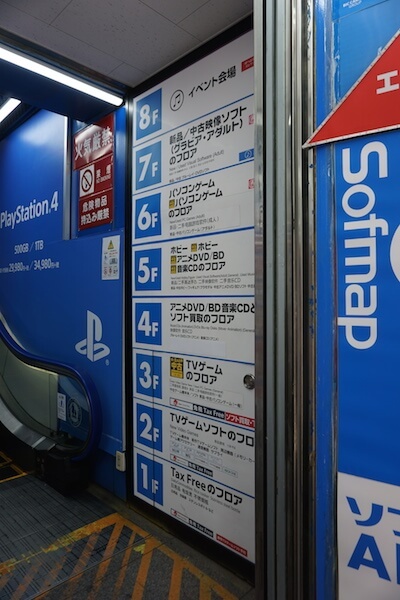 Let’s go buy games and figurines in Akihabara Softmap! 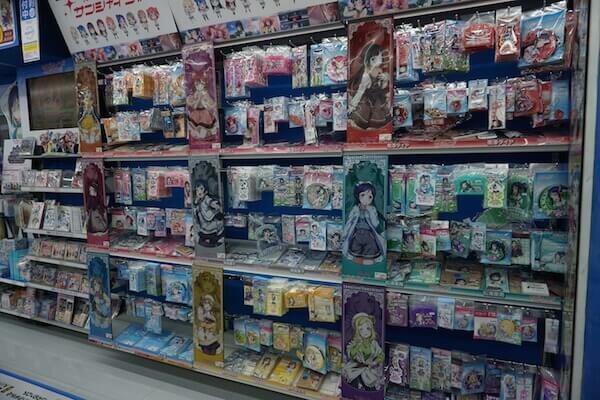 If you are looking for anime, game and idol items, we recommend you visit Softmap Amusement Kan. 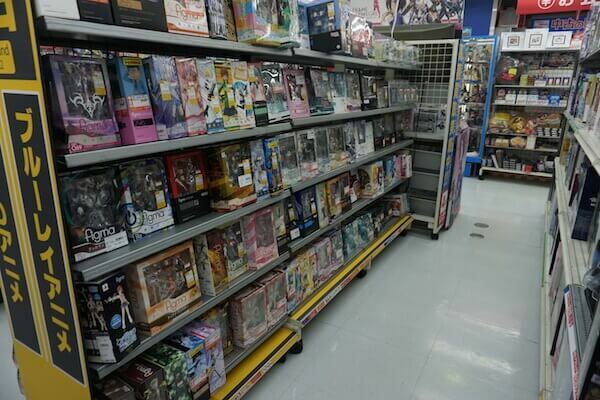 They have a rich inventory of video game, anime, and idol products. In other words, it is a very versatile software store. 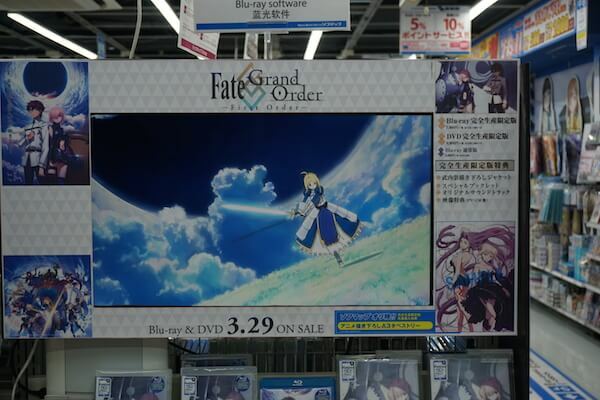 It is very easy to find because there is a big Akihabara-style poster on the outside of the shop. There is a total of 8 floors! 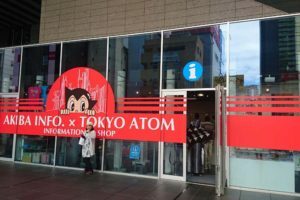 Once you step inside, you may ask yourself if you got to the right place because the first floor is a duty-free store where they sell makeup, electric appliances, souvenirs, etc. 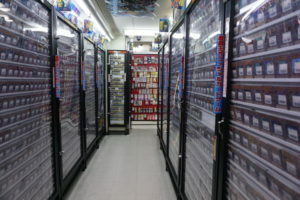 The fun goods are located on the floors above, so don’t forget to check the floor guide. 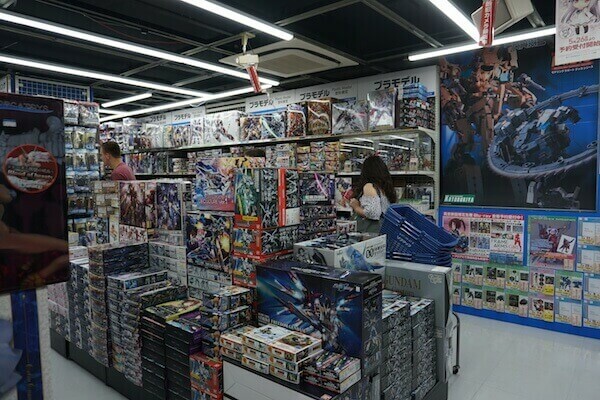 By the way, if you are looking for otaku stuff, you should pay a visit to Akiba Softmap. Amusement Kan used to be a video game floor and one of the main symbols of Akihabara. 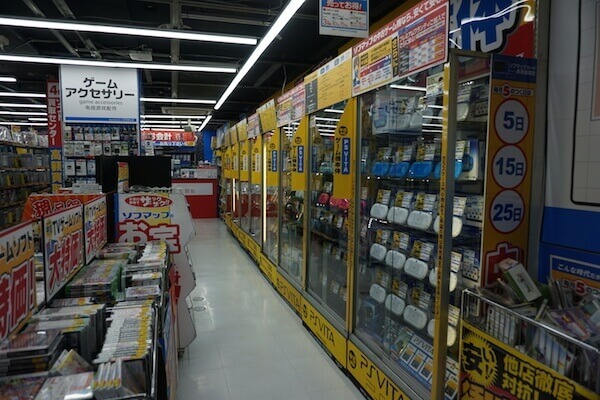 Many people claim that the store lost its Akihabara spirit when they included the duty-free floor. 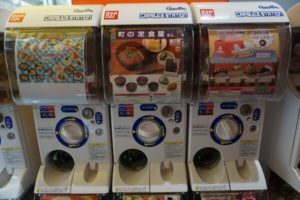 However, this is very convenient for foreigners. 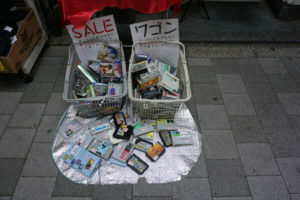 You can buy games but still find nice souvenirs at the same place. Also, video games were just moved to the TV corner on the 2nd floor. 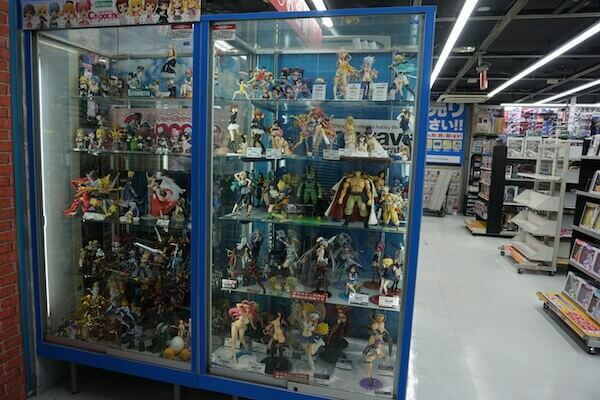 Therefore, you can experience the authentic Akihabara-style store, too. 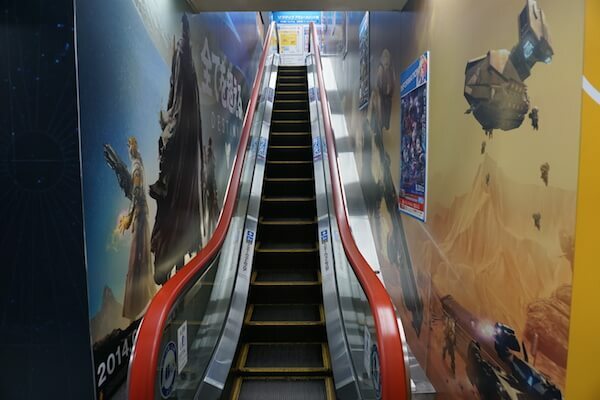 Use the escalators, not the stairs! Many buildings in Akihabara are built vertically. 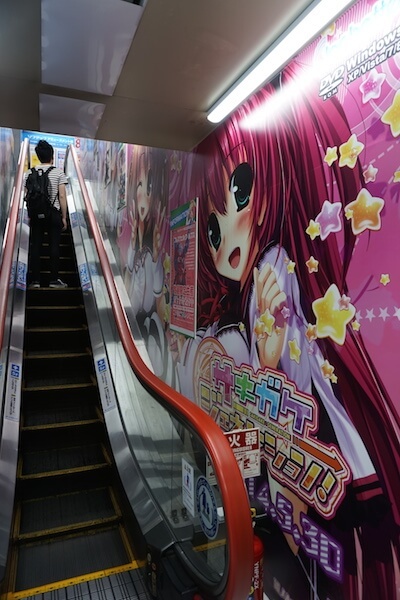 That is why it is easier to use escalators to check out all 8th floors in Softmap Amusement Kan. 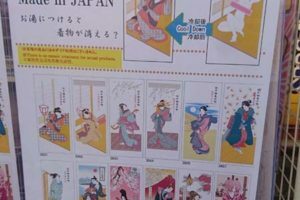 They are decorated with attractive posters to help you fully enjoy your shopping experience. Check them out on your way to your desired floor. It can be difficult to adjust your trip schedule to events or even buy the tickets, but if you get a chance, you should join one of many fun events held on the 8th floor. You can check the details on their site at any time. It is also a fun way to study Japanese. Just relax and enjoy shopping! 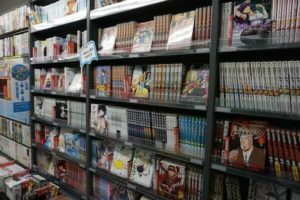 Otakus are reluctant to visit the store since the first floor was changed into a duty-free shop. 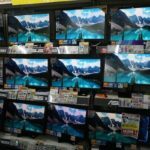 Many gamers used to stop by but, recently they started to bypass it. 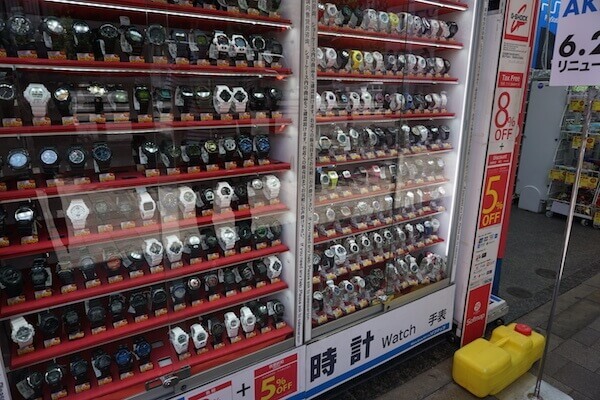 This is why it is not very crowded so you can take your time checking the products. 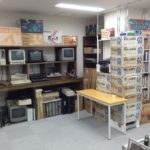 It is a little-known place where you can find many great games!